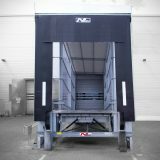 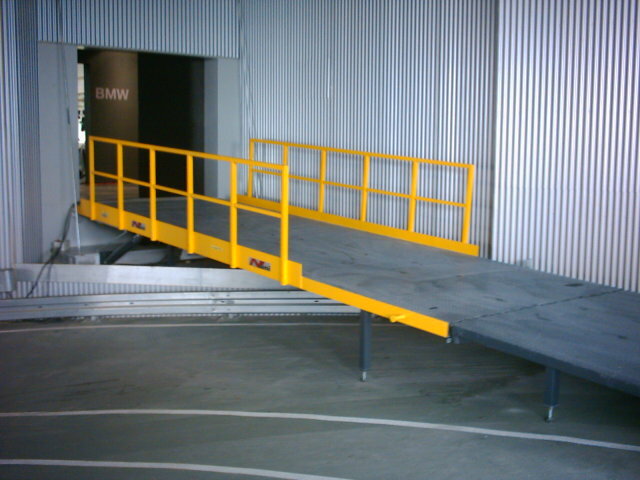 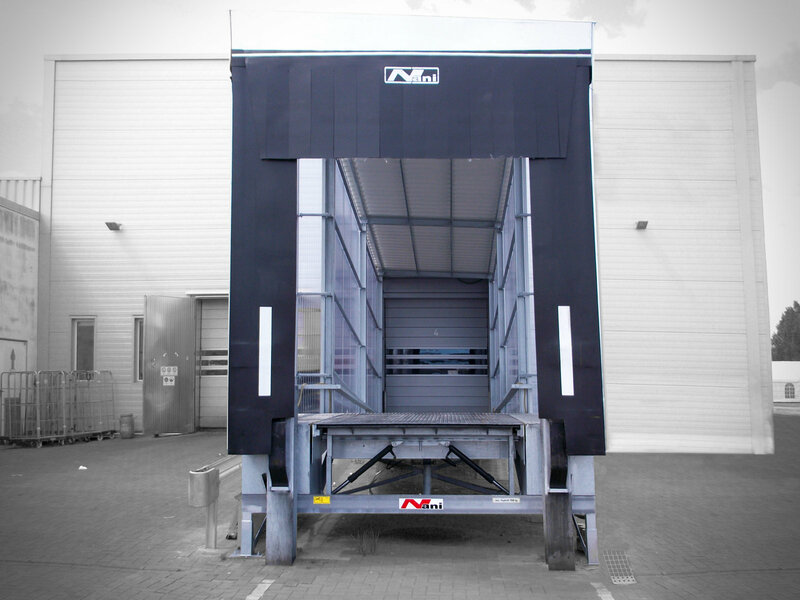 The loading ramp, made of steel (painted, hot-dip galvanized or stainless steel), with a sloping driveway can be designed in many different versions with or without hydraulic dockleveller, mechanical ramps to one or more sides, with or without housing, with or without dockshelter. 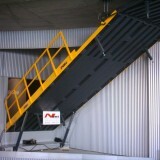 The surfaces may be tearplates, expanded metal, diamond plates, perforated plates, honeycomb grids. 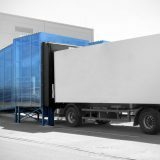 The housing might be a more robust steel construction with panels or could be made from a lightweight frame with tarpaulins. 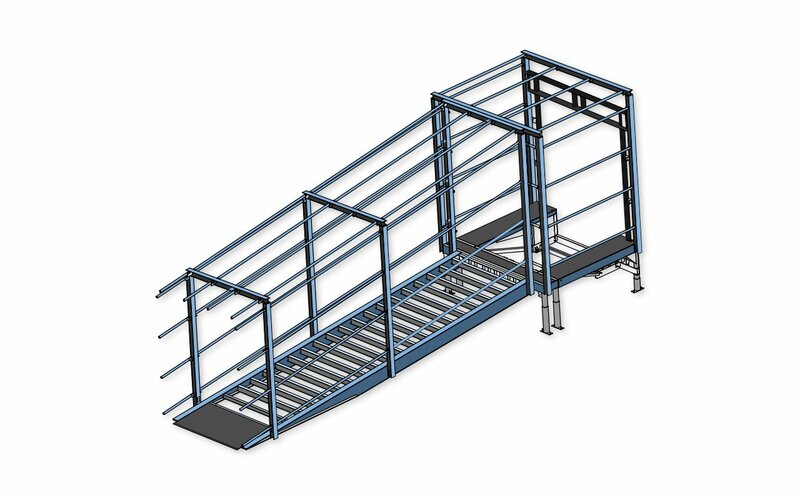 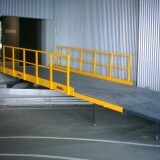 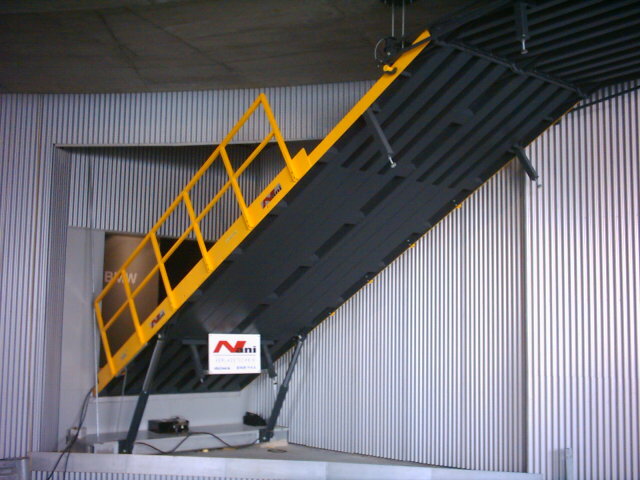 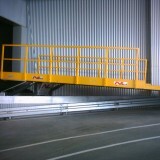 The helical ramp may lead to a simple loading ramp made of steel or a large multi-functional loading platform. 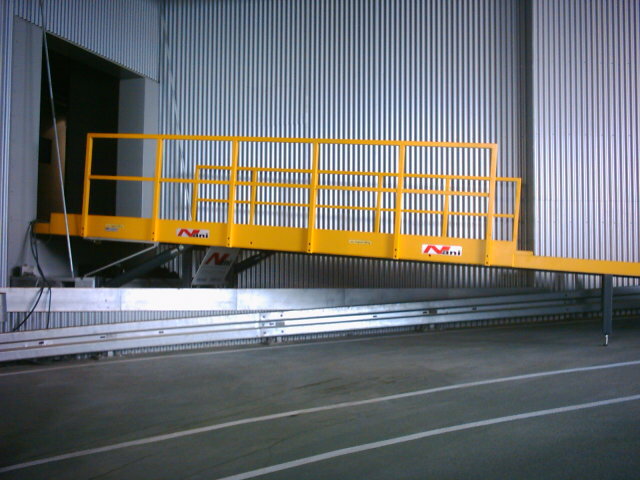 So forklifts and any other industrial trucks will enabled to easily load and unload trucks and vans of all kinds. 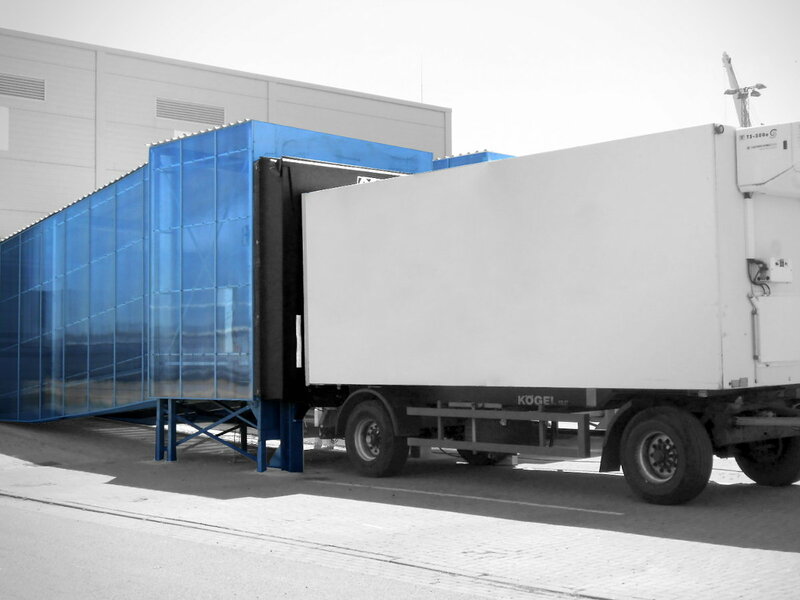 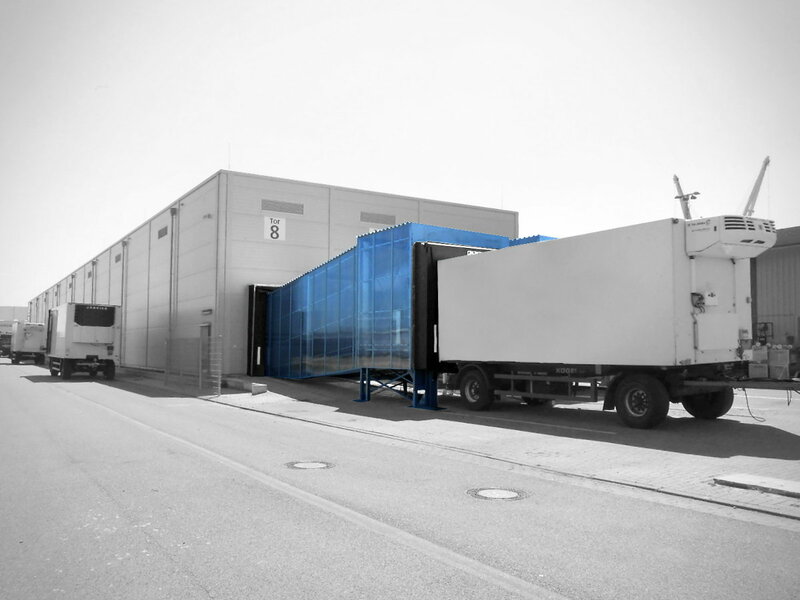 A design for heavy cargo logistics is also possible.